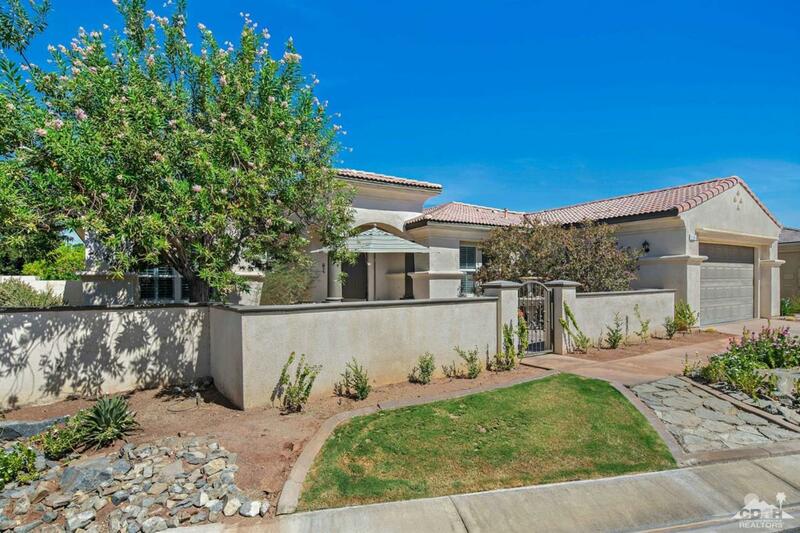 Great VALUE in a highly sought-after N. Palm Desert neighborhood. 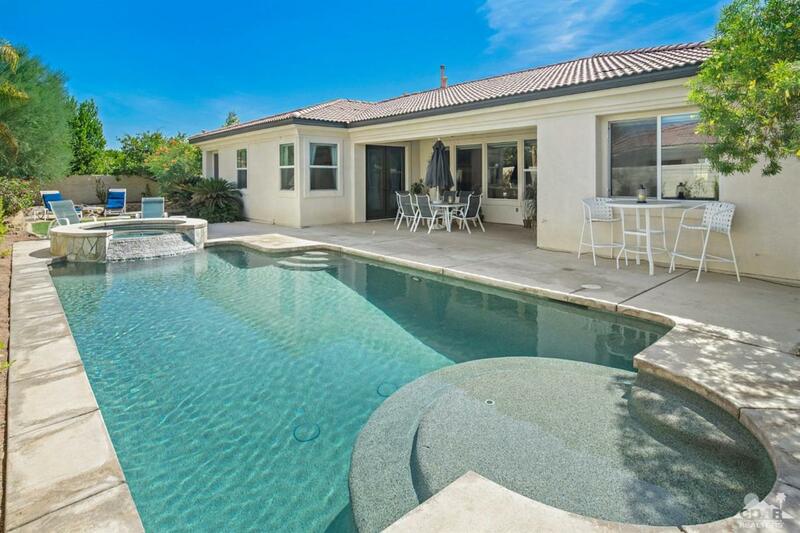 Situated on a cul-de-sac in the gated community of Brenna at Capri, this 3BD + Den/3BA home offers approx. 2,814 sq. ft. of well-designed open living space. 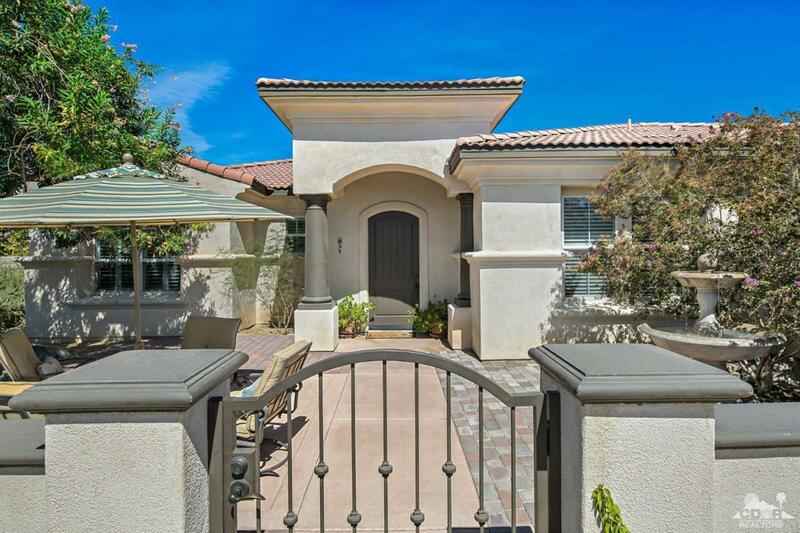 The gated front courtyard w/ custom fountain leads to an elegant entry & opens to the great room w/ pool views, fireplace, formal dining w/ wet-bar, impressive chef's kitchen w/ island & rich cabinetry, granite counters & breakfast nook. The spacious master retreat features French doors to the patio, walk-in closet w/ custom built-ins & luxurious en suite BA w/ dual vanities, sunken tub & walk-in shower. 2 expansive guest BD w/ Jack & Jill BA, den w/ French doors, guest BA, & laundry room. Revel in the sparkling pool & spa w/ stacked stone waterfall & tanning shelf, covered patio & lush desert landscaping. Enjoy the finest indoor/outdoor living in complete privacy. 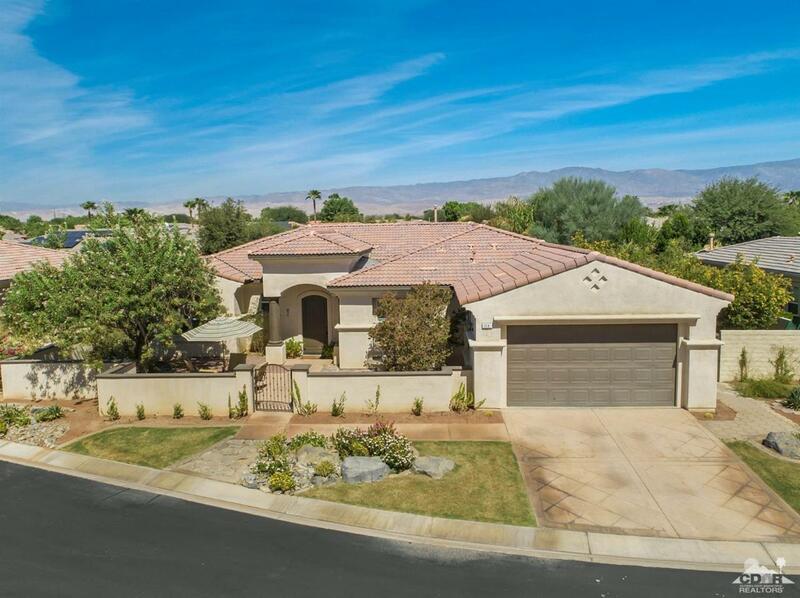 2-car garage, stunning mountain views & only steps to Freedom Park. Plus, low HOA dues! Just $85/mo.